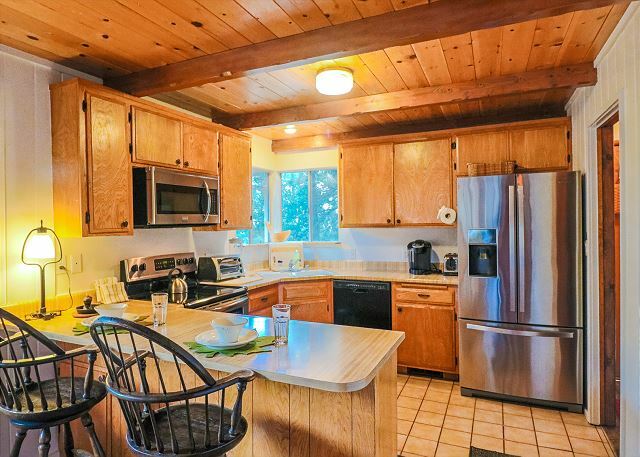 Kitchen fully stocked with all the essentials and breakfast nook. Dining table and breakfast nook. View of home from kitchen POV. 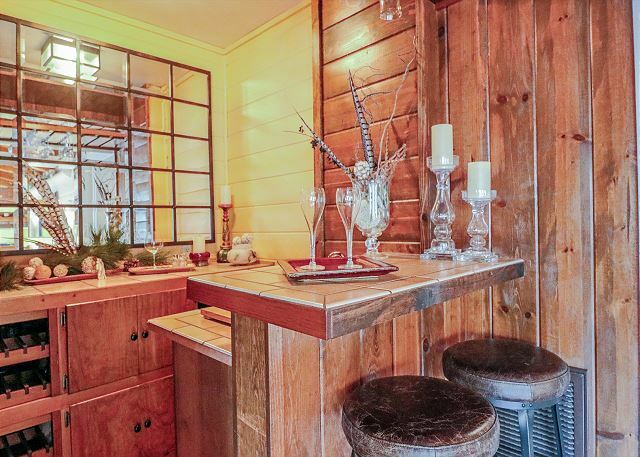 Home has an adorable bar area. 3rd bedroom with queen sized bed. 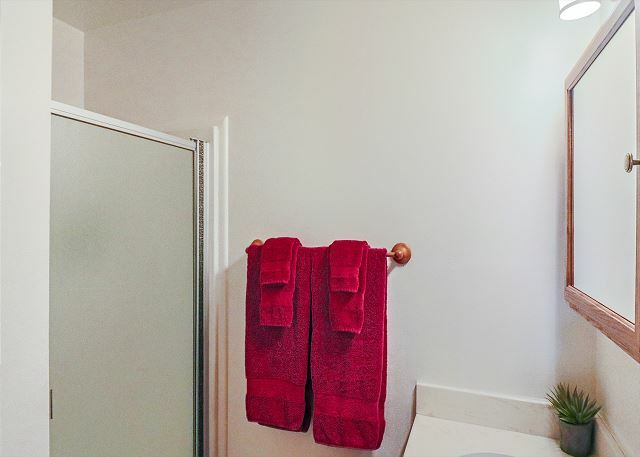 3rd bedroom with queen sized bed and private bathroom. Dine outside in the gardens. Outdoor seating throughout the property. Living room is stylish and cozy. 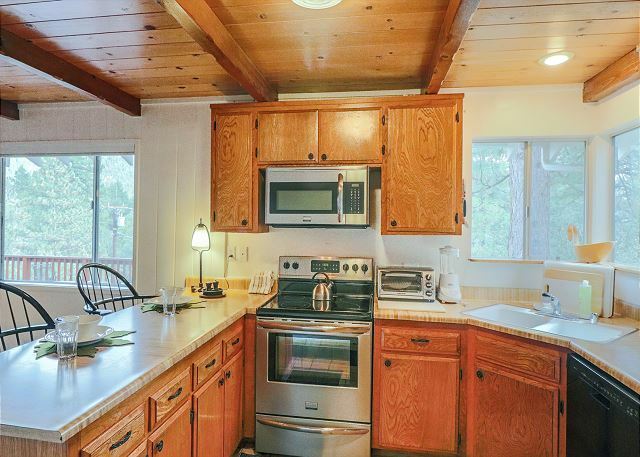 Kitchen with upgraded appliances and plenty of counter space. 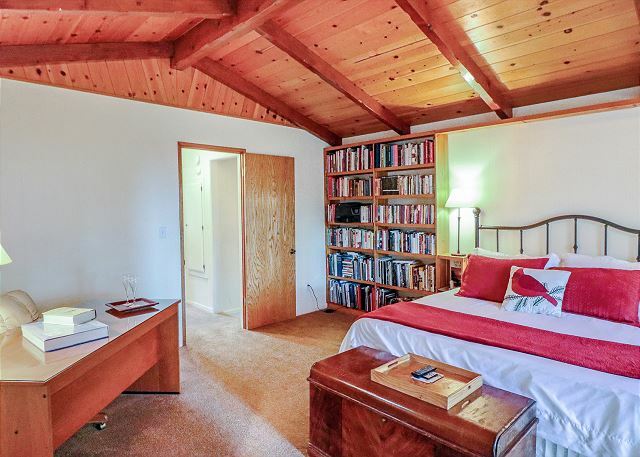 4th bedroom with two single beds. 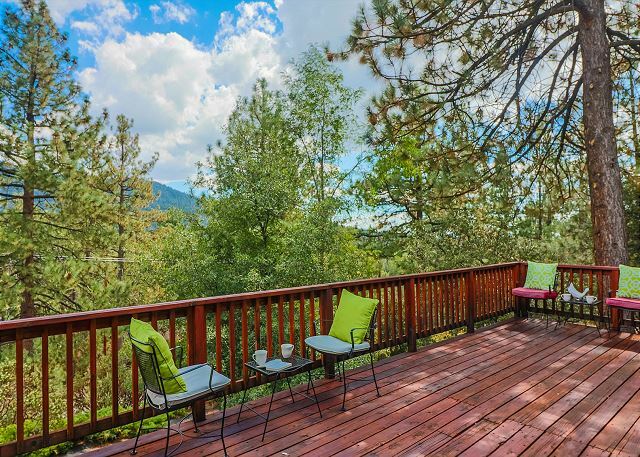 Deck is spacious with gorgeous views. Beautiful scenery surrounding the property. 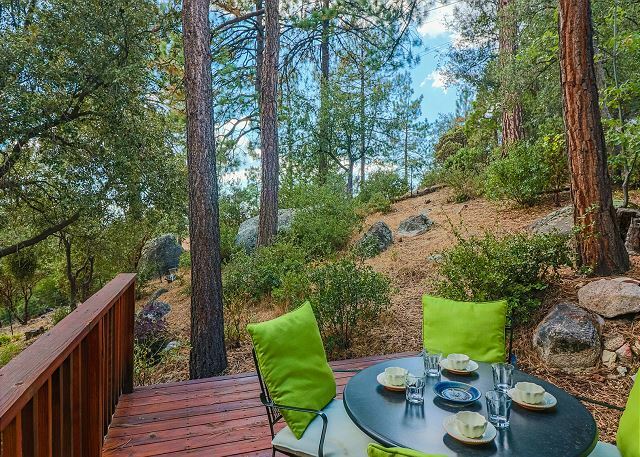 Dine outside and immerse yourself in the beautiful nature. Lots of outdoor seating throughout the property. 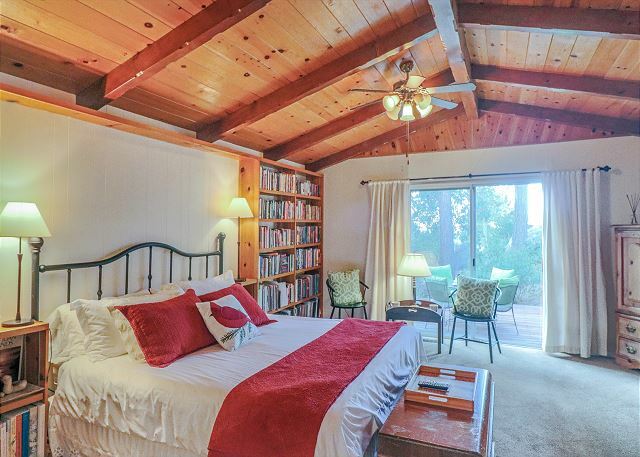 Idyllwild just wouldn’t be complete without this secret gem that just became available to rent as a Vacation Home! 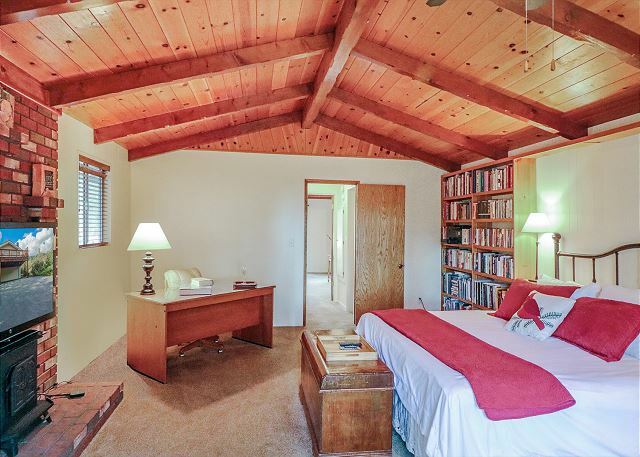 “Three Gazing Stars” is a spacious 4 bedrooms, 3 bathrooms, and has accommodations for up to 8 people. 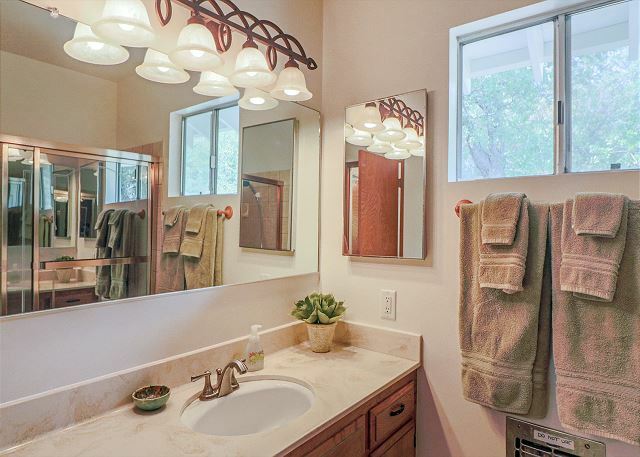 This home has many upgrades including a new SPA! 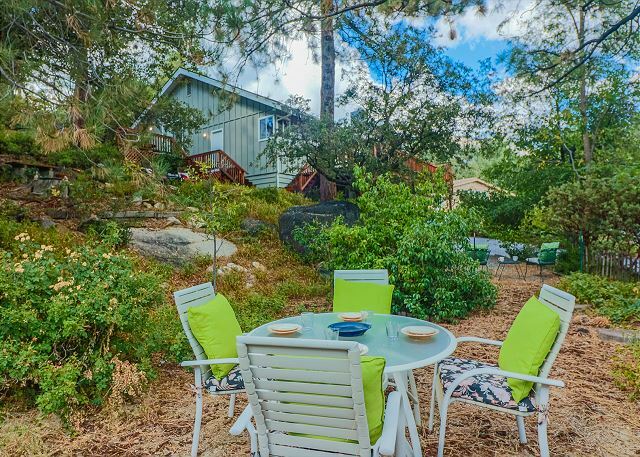 Guests can enjoy incredible views of Lily Rock while sipping hot cocoa or enjoy a movie on the Flat Screen TV while cuddling up and eating popcorn. 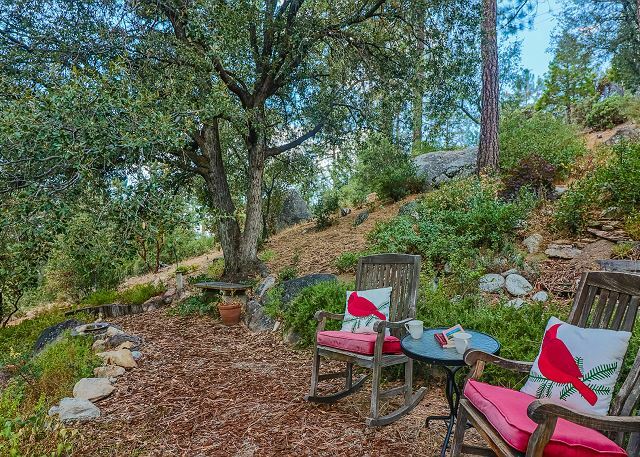 You will love spending time in the yard, it is like having your own secret garden with areas to relax and read a good book or just meditate and listen to nature. WiFi access is also available. 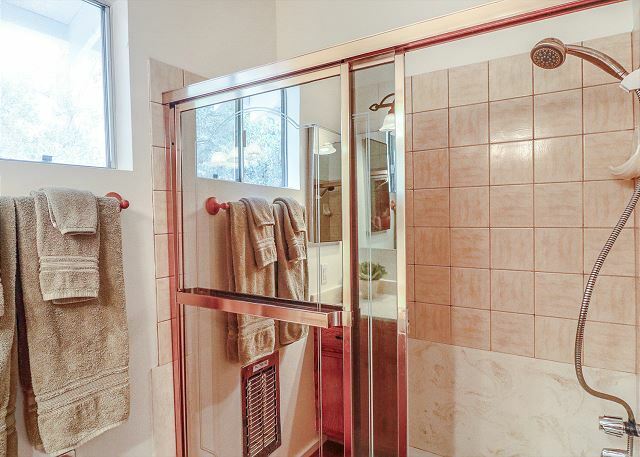 Don’t miss out on this incredible property. 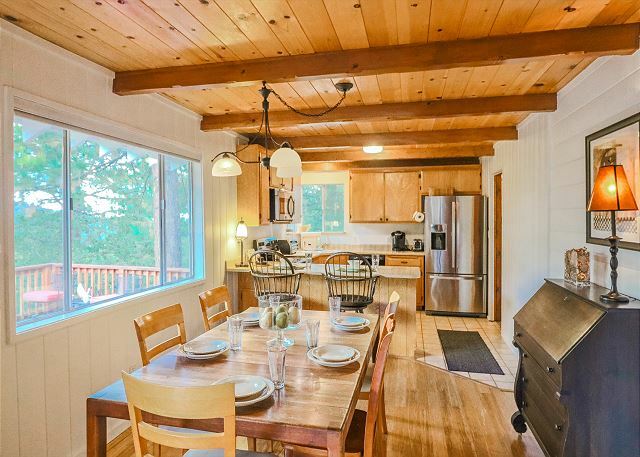 “Three Stars Gazing” is the perfect home for a family or group getaway! Weekend rate Friday/Saturday is $295.00 p/night. Weekday rate Sunday thru Thursday is $250.00 p/night. 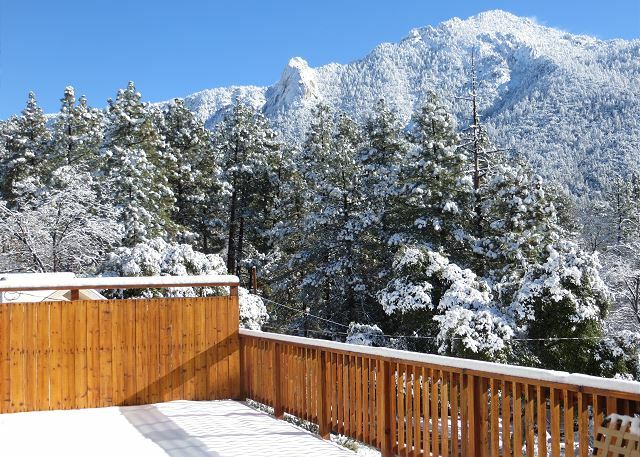 Winter Holiday rate $550.00 p/night (Thanksgiving, Christmas, New Year's Eve), with a 4 night minimum. 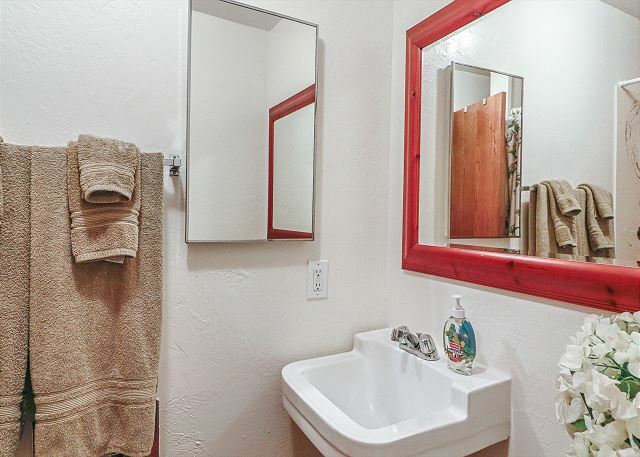 Holiday rate $450.00 p/night, a 3 day minimum may be required. Call us for our weekly/monthly specials. Pets are welcome. Pet fee will apply. Linen/Prep fee $150.00. The place was great. The balcony is amazing, and there' a ton of kitchen supplies, no need to bring anything. The only downside is that there was a rat issue. We saw one in the kitchen and put traps out (they had traps there so it's a known issue) and we ended up catching one and had to trow it away. 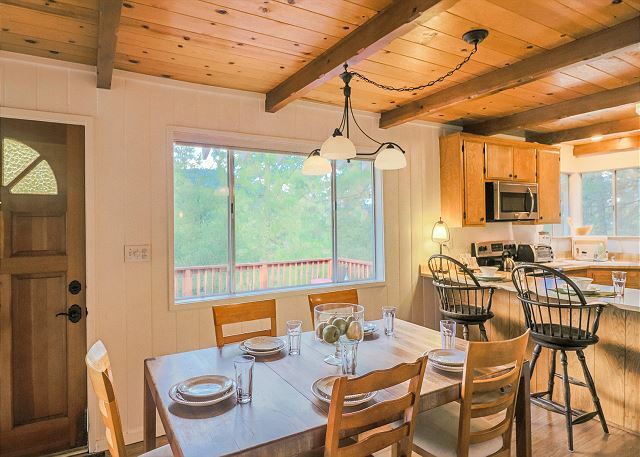 Wonderful time in Idyllwild and this rental was perfect for our group of four women. Great deck with a wonderful view and a nice walk into town. The open concept was perfect for our needs and the kitchen was very well stocked. We hope to return next fall! Amazing! Highly recommend this home. The house was beautiful! 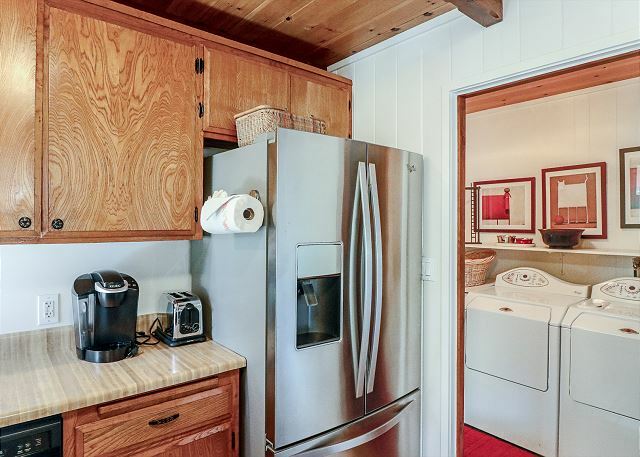 Very well stocked kitchen, and all the amenities we needed. The views from the deck were just spectacular, and the house was very clean. The property management was really great. Super fast to answer any questions we had. Had a nice weekend, great view. 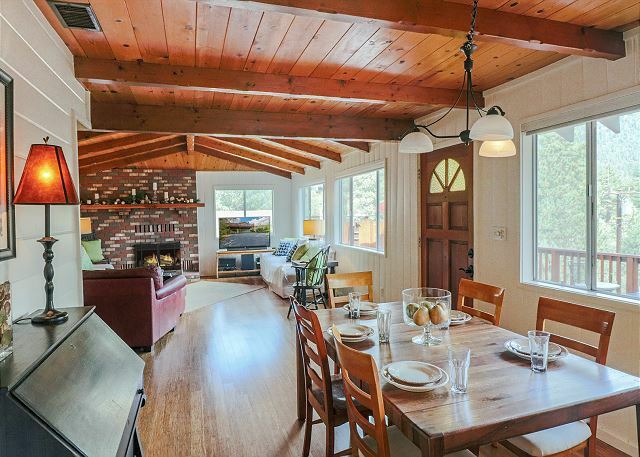 This home is a 24 hour delight. 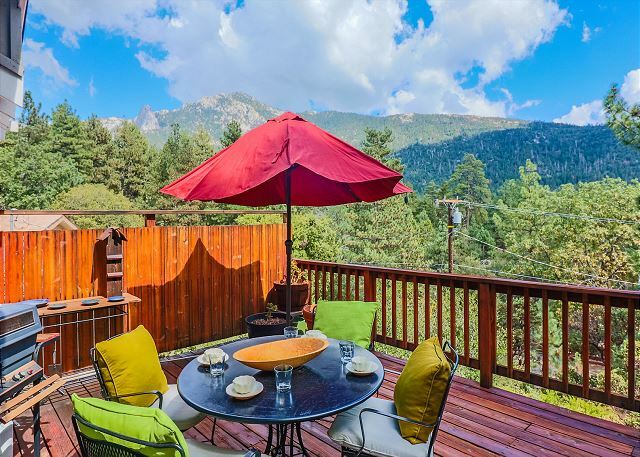 No matter the time of day as long as the moon is out, you can step out on the deck and enjoy the beauty and quiet of the Mountains. It is close enough to the center of town to hear the activities of the day waft over the pines but not close enough to become annoyed with traffic noise. Lots of stairs to help build your leg muscles through daily living. New appliances and the staff responded quickly to any of our concerns. Lovely visit. The view is awesome. Close enough to walk to downtown. The house is really nice - I wish I owned it. 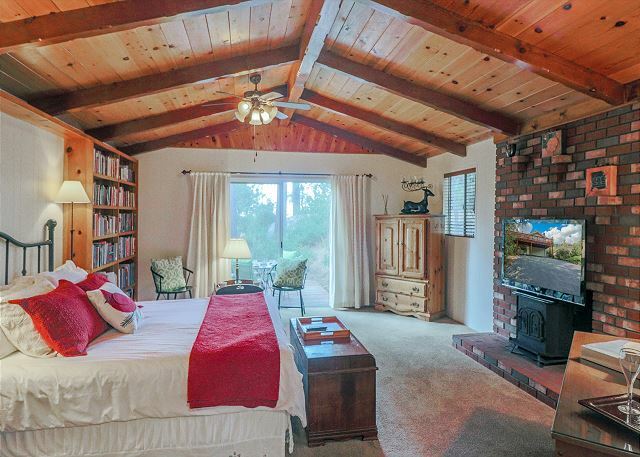 Plenty of bedrooms, bathrooms, and a nice big living room and patio... We could not have had a better time. And a big thanks to New Spirit - I consider myself lucky to be a return customer.